A hotbed of Irish literary talent. Although the Irish Writers Centre has long been a place for keen readers and writers to attend readings and launches, or to take part in one of the many writing classes on offer covering every topic from memoir to ghostwriting to autofiction, the centre can at times be overlooked because of its location, tucked away as it is away from the bustle of the city, beyond the trees of the Garden of Remembrance. This will all change very soon. The new City Library is under development nearby, and the Irish Writers Centre, which is part of the old Jameson House comprising the Dublin Writers Museum and the Chapter One Restaurant, will soon find itself in the heart what will become the Parnell Square Cultural Quarter. Valerie Bistany has been the Director of the Irish Writers Centre for five years now, having initially come on board at a time when the centre was still in a period of tumult. In 2008, Arts Council funding was withdrawn due to concerns about “value for money and quality of service to writers”. By 2009, the centre was on the verge of closing when Jack Harte, the original founder of the centre in 1991, with the help of other activists, intervened to keep it open. 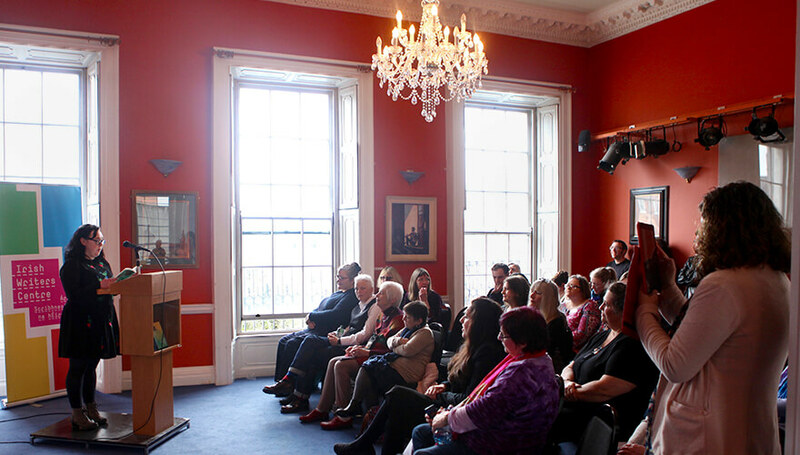 Harte had established the centre as a place “for writers to write and to encourage people to write. 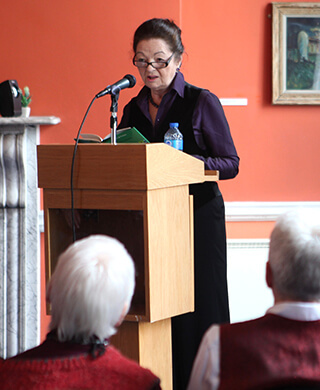 He also started the Irish Writers Union to give writers a voice,” Valerie tells Dublin.ie. If you’re a member, you can come anytime between 10am-5pm, Monday to Friday. We have over 450 members. There’s no question that there has been a surge in interest in Irish writers internationally in recent years, and much talk of a new wave of young talent. Valerie has seen the influence of that in the increase in applications for the centre’s courses and “membership has doubled since I came on. We try to keep our ear close to the ground on what people want to do courses in. At the moment creative non-fiction is very hot.” The centre also collaborates with the Stinging Fly magazine, who run a prestigious masterclass there, and the American College on their Creative Writing MFA. 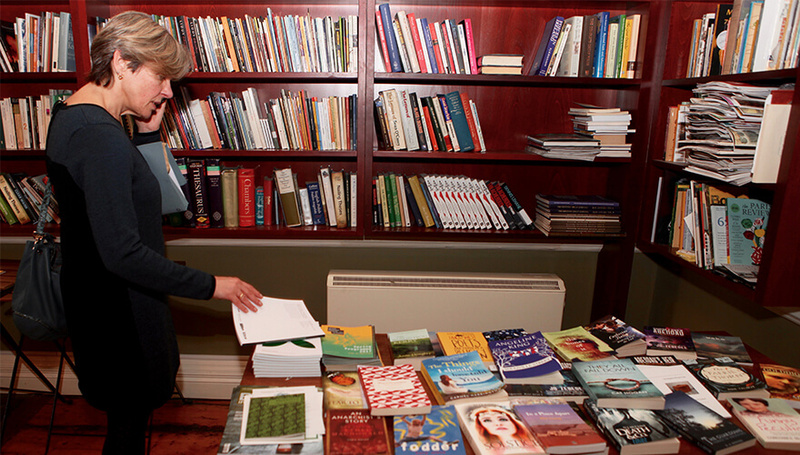 The annual Novel Fair is also highly regarded; a place for hopeful novelists to place their manuscripts in the eyeline of agents and publishers. “We’re trying to internationalise that by inviting publishers from abroad and attracting more manuscripts from abroad,” Valerie says. Valerie ran the Dublin Youth Theatre for six years in the nineties, and so it comes naturally to her to want the centre to “connect with young people, something the centre has never done in its twenty six years. People tend to come to writing when they’re a little bit older with a bit of experience and what we wanted to do was see that age level drop so we’re connecting with the next generation of Seamus Heaney’s or Samuel Becketts. Our focus is the 16-29 age group.” The centre plans to establish a Young Writers Delegates Programme at literary festivals, putting out an open call for young writers to blog for the festival, or pairing young people with mentors. The centre is also moving into the area of commissioning writers: there was a series of articles for the Irish Times on an Irish writer’s life, and an highly regarded anthology for the centre’s twenty five year anniversary. 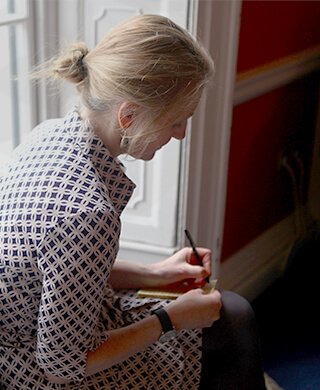 Catherine Conroy is a Dublin writer, regularly contributing to The Irish Times, and dabbling in fiction in The Dublin Review. Her novel continues to wait patiently in a drawer.